The search is on for the best NHS suppliers and partnerships in the North West. Applications are invited for the NHS in the North West Excellence in Supply Awards 2017 – recognising the work of businesses, third sector bodies and the NHS in working together to provide great patient care. 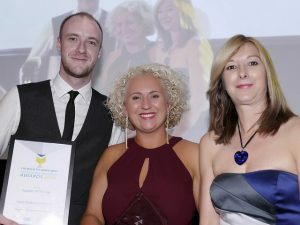 Last year’s overall winner was Falck Medical Services, who work with a dedicated NHS team in the North West and North Wales Transport Service, NWTS, to provide an ambulance service to transfer critically ill children. There are 12 categories and the deadline for entries is 31 July. Applications can be made at: https://www.nwprocurement.co.uk/eiscategories.php. Chair of the event organisers NHS North West Procurement Development and chief executive of one of the event sponsors, the Innovation Agency, Dr Liz Mear, said: “There are many different ways that our NHS partners are improving the way they deliver care, through partnerships with businesses, charities and other organisations. “This is the chance to build relationships with NHS trusts and be recognised and valued as an important partner. I urge anyone with a great product or service who is passionate about the work they do in the NHS, to apply. The awards will be presented at an event at the Village Hotel, Blackpool, on Thursday 19 October.